a cool spring saturday morning calls for a descent hot breakfast! 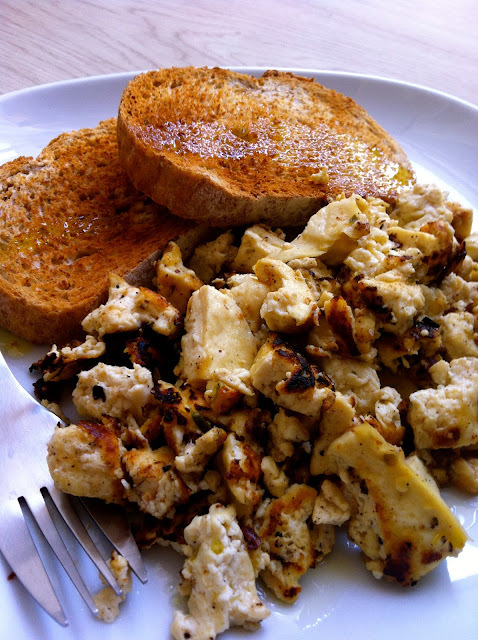 and what better way to warm up and fill up than a tasty vegan tofu scramble - yum! with easy, tasty, and healthy vegan meals like this, how can you go wrong! For some reason I make my Tofu just like yours. With a little bit of overdoneness to it. I like the little bit of toughness it gives it.